When discussing cannabis, most people tend to talk about the effects of being high. But I’m guessing you know that there’s more to our green companion than you’re favorite Method Man & Redman movie, right? 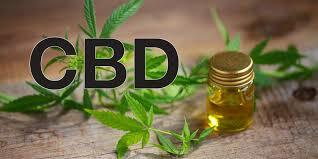 If you can spare a few minutes, we would like to share some fast facts on CBD benefits. How does it work? How can it be beneficial for you, your family and friends? And why is it so popular these days? Gaining knowledge on the science and history behind CBD benefits, is always useful. Magic Mushroom Shop writes a lot of articles in our courageous efforts to enlighten our customers. With these Fast Facts articles we would like to share 3 short videos, under 10 minutes. 1. THC vs CBD breakdown! Animated short scientific breakdowns, from AsapSCIENCE, are perfect for familiarizing yourself with a new subject. Or maybe you're already familiar, but you want a quick overview of the most important scientific facts. This video will help you gain knowledge about the basic difference between CBD and THC. 2. How to use CBD for pain relief? Known for making beauty and lifestyle vlogs, it's remarkable that As/Is has a very informative video on CBD supplements. To be specific; using CBD for pain relief. This video really adds to this Fast Facts list because it dives deeper into the specific products needed for daily pain relief. 3. How to buy CBD online? Interested in getting your first supplements? This video will help you narrow down your search, with advice on what you should look for when purchasing CBD products. Let your curiosity roam free on our variety of high quality CBD supplements. Rich oils with up to 10% CBD extract!